How do I manage cookies on Performance Foundry? To ensure on fewer pop-over in your life, settings are jointly managed for Performance Foundry's main site and all subdomains, including our support domain. Cookies live in your browser, and as such, Performance Foundry staff can't manage them for you. 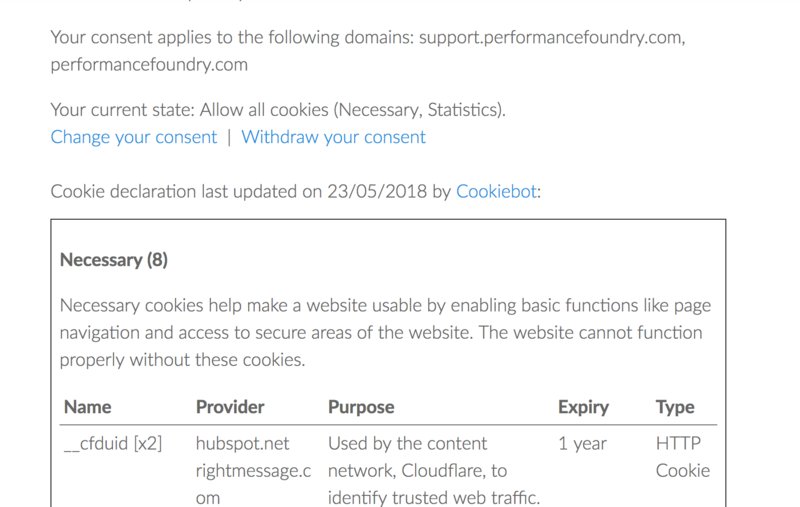 If you want to remove all cookies dropped by Performance Foundry sites, please clear your browser/s of cookies.